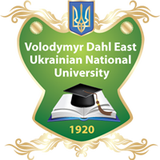 March 16, 2013 at 10:00 Institute of Philosophy and Psychology East-Ukrainian National University named after Volodymyr Dahl invites entrants to the Open Day. In the open day you will find: performance director of the Institute of Philosophy and Psychology Victoria Sukhantseva, communication with the heads of departments, teachers and students. Applicants can learn more about admission and learning environment at the Institute, the possibility of future employment of graduates, additional education and student life in the DREAMS them. Dal. The Institute consists of seven departments: Department of Applied philosophy and theology, Department of Human Problems and Philosophy of Health, Department of Psychology, Department of world philosophy and aesthetics, Department of Social and Applied Psychology, Department of Physical Education, Department of Philosophy of Culture and Cultural Studies. The Institute provides training in the field: philosophy, psychology, practical psychology, human health, Documentation and Information, Tourism, Hospitality Management. Open House will be held at: Apt. Youth, 20a, 2 educational building, room. 326. In East Ukrainian National University named after Volodymyr Dahl, the Department of Physics and Applied Physics, held the first round of competition on the subject of university physics. In the competition was attended by students of the Faculty of Natural Sciences and the Department of Electrical Engineering. The task given to solution in the form of problems in physics that students had to decide in writing.Each task was evaluated certain number of points, and the entire complex of problems could get 12 points. The best knowledge from the field of physics has shown student group MM-5A21 V.Zavyerkin, who scored almost maximum points - 11.5. Second and third places went to student groups PN-201 and PN-101 V. Litvak and V. Svistula with results of 11 and 10.5 points respectively. These students will represent DREAMS them. Dal on National Olympiad in Physics among universities III-IV accreditation levels. Lugansk educational association "European club" Department of Foreign Languages ​​East Ukrainian National University named after Volodymyr Dahl the organizer of the city bowling tournament among pupils, students and teachers. In the competition participated teams DREAMS them. Dal, College DREAMS them. Dal, LNU. Shevchenko BB "Lugansk NEC Secondary School I-II century. - Lyceum № 24 ", Lugansk secondary school of I-III. Number 7, Lugansk secondary school I-III centuries. Number 39, Lugansk Construction College and College of Lugansk State Academy of Culture and Arts. "Holding the bowling tournament - the first step of our cooperation with schools, colleges and universities in terms of sports, - said the head of" euro club "Svetlana Stepkovska. - In the future we plan to organize a competition pool, tennis and other sports. " As a result of playing the first place team won the tournament circuit "Lugansk NEC Secondary School I-II century. - Lyceum № 24 ", second were the representatives of Lugansk College building, and the third place were students Luhansk secondary school I-III centuries. Number 39. Winners were awarded diplomas and prizes. East Ukrainian National University named after Volodymyr Dahl at the IV International exhibition "Modern Educational Institutions - 2013" was awarded a gold medal in the "Implementation of competencies in the educational process as a basis for quality professional training of higher education" and Diploma "Leader of international activities." In the opening ceremony was attended by Deputy Minister of Education, Youth and Sports - Chief of Staff Alex Dniprovsky and President of the National Academy of Pedagogical Sciences of Ukraine Vasyl Kremen. In his speech, Alex Dniprovsky said that the exhibition is a powerful event for the promotion and development of Ukrainian education. The event was attended by more than 950 Ukrainian and foreign educational institutions at all levels of accreditation and organizations, including more than 130 universities. They presented the best achievements and pedagogical teams, innovations in teaching and educating young people practical experience. As part of the exhibition contest was held according to the system rating evaluation MONmolodsportu Ukraine, covering various indicators of higher educational institutions III-IV accreditation levels of all forms of ownership. As a result, Dahl University awarded the prestigious award - Diploma "Leader of international activities." First Ukrainian universities ranged in terms of scientometric database Scopus. SLEEP them. Dal was awarded a certificate of quality scientific publications according to the Hirsch index - an indicator of the performance of the University, based on the number of publications and citations of those publications. Honorary diplomas were awarded exhibition units DREAMS them. Dal: Department of Project Management and Economic Statistics, Psychology, Economic Cybernetics, transportation systems, industrial and artistic casting, Pedagogy, and Technology Institute (Severodonetsk). Lecturer in Physical Education East Ukrainian National University named after Volodymyr Dahl master of sports of international class Dmitry Semenenko took second place in the championship of Ukraine in powerlifting men and women. Competitions, held in Santiago, gathered more than 175 most powerful athletes from 22 regions of Ukraine. For three days powerlifters fought championship. Dmitry Semenenko competed with its rivals in the weight category up to 105 kg. Sitting down with the weight at 410 pounds, Dahl athlete won a victory in this exercise. He also showed good results in the other two exercises - "Bench press" and "Pull" - according overcoming weight in 257 and 325 pounds. Overall result - 992 kg - brought athlete silver medal at the championship. Recall that Dmitry Semenenko since 2003 repeatedly became the best in pauerlifterskyh competitions at various levels. He won three times, winning the European championship among juniors and twice won gold medals at the junior world championships. In 2011, Ukraine dalivets set a record at the World Powerlifting Championships, overcoming weight of 970.5 kg. Student Theatre Institute jurisprudence and international law East Ukrainian National University named after Volodymyr Dahl "Lazoryata" presented the premiere of the musical and poetic plays Lydia Lazor "Students love." At the premiere performances were present administration, students and teachers Dahl University, as well as special guests - the prosecutor of Luhansk region Anatoly Melnyk, Chief of Justice in Luhansk Irina Zaporozhets, artistic director of the Luhansk Regional Academic Ukrainian Musical Drama Theatre, People's Artist Ukraine Mikhail Golubović and others. Above the play "Students love" working students, teachers and representatives of the administration of the Institute of Jurisprudence and International Law DREAMS them. Dal. The basis was laid work performance director of the Institute professor Lydia Lazor "Poem about students 'love', and film director became deputy director of the Institute's educational work professor Julia Ivchuk. "Thank you for what you reveal to the reader, and today - and the viewer, the eternal human values ​​their creativity - said, referring to Lydia Lazor, Michael Golubović. - I saw with what impact working boys and girls on the scene. I thank them for the excellent play. I welcome you to the premiere and I think that today "Lazoryata" declared itself as a theatrical troupe! " Note that the plot of the play - a love triangle law students: the author's intention, Roman can not decide which of the girls prefer - humble, honest and hardworking Nina or financially wealthy Mary, leading racket and passionate to addictions. Under pressure from the young mother chooses Mary, but their family life is: their child dies, and the novel goes to prison. Mother of a young man ruined, but she comes to the aid Ning. At the end of the play student marries his classmate John. In East Ukrainian National University named after Volodymyr Dahl presentation PAT "Luganskteplovoz". The event focused on three main objectives: the presentation of the company, its achievements and perspectives, drawing attention to the students of the professions actualization of the company and deepening cooperation between "Luganskteplovoz" and Dahl University in the field of scientific and inventive activities. To participate in the meeting joined leadership PAT "Luganskteplovoz" and teachers and students of the Faculty DREAMS them. Dal headed by the rector of Doctor of Technical Sciences, Professor Alexander Golubenko and dean rail communications systems PhD, Professor Valentin Mogila. During the meeting, Director General of JSC "Luganskteplovoz" Paul Tsesnek introduced a new management team of companies, which also includes young professionals, graduates DREAMS them. Dal, and talked about the current situation in the financial, economic, commercial and technical areas. In his speech, he outlined the main aspects of cooperation with the Dahl vyshem as a major partner in the research and production activities. The presentation aroused great interest among the participants, as it showed a number of questions to the speakers after the meeting. Most of the questions concerned the possibility of future employment for graduates, internships, implementation of research projects on the basis of the holding. They said Chief Business Development Center Eugene Yakimenko, which coordinates cooperation with University of Dreams. Dal, signifying their desire to "Luganskteplovoz" to deepen ties and interest in the selection of new personnel is among university graduates Dahl, among high-class specialists. The main result of presentation for the students was application a list of topics dissertations and scientific developments to be implemented, which in case of confirmation of its effectiveness will be presented to receive grants from the enterprise. At the Research Institute for Spiritual Development of Man East Ukrainian National University named after Volodymyr Dahl club meeting "Intellectual", devoted to the problems of education of students. As part of the meeting was presented monograph PhD, assistant professor of pedagogy Dahl University Saifullah Rashidov "Educating students in the values ​​of civil society: problems of theoretical conceptualization." The work Saifullah Rashidov uses knowledge from different scientific areas within the same methodology. The concept study is based on determining the values ​​as central concepts of the theory of education and understanding of education as a process of formation value consciousness. The basic values ​​of civil society, according to the author of the monograph are human rights and freedoms, tolerance, and tolerance for different religions, patriotism. The most effective means of education in students values ​​of civil society Saifullah Rashidov considers educational activities on human rights, participation of students in the institutions of civil society and development activities of universities as a cultural and educational center of the formation of value consciousness of youth and dialogical nature of relations between teachers and students . Monograph Saifullah Rashidov, which raises acute problems of modern education and youth issues inculcating students with values ​​of civil society, has caused Bourne scientific debate. Ended club meeting traditionally - performances of creative groups. Recall that the Club "Intellectual" was established in October 2010 as a vibrant community of intellectuals Luganschiny to raise public awareness to the ideals of the Ukrainian people, forming an active social life, education of patriotism, to promote the harmonious development of modern society, the maintenance and preservation of spiritual and moral ethical, aesthetic values, and others. Professor of railway East Ukrainian National University named after Volodymyr Dahl Vladimir Slaschova published the book "The word in verse and prose at the glorious steam locomotive." The book highlights the history of the emergence and development of railways and railway transport, in particular, much attention is paid firstborn locomotives - steam locomotives. The publication consists of seven chapters, the story is in an accessible, non-fiction form. Vladimir Slaschova examines not only the technical characteristics of the different types of locomotives, but also emphasizes the importance of emotional perception railway society. The author gives examples of displaying an image locomotive in literature, poetry, painting, film and other artistic fields. The text is accompanied by many illustrations. Publication of "The word in verse and prose at the glorious locomotives" recommended students - future professionals in the field of transport, as well as a wide range of readers interested in the history of the railway and locomotive. Reviewers of the book manager Department of Sociology University of Dreams. Dal, Doctor of Sociology, Professor Boris Nagorny and a representative of the Department of Transport and electric locomotive NTU "Kharkiv Polytechnic Institute", PhD, Professor Vyacheslav Masliyev. Recall that Vladimir Slaschova - author of over 130 publications in the field of locomotive and Pedagogics, including two academic books and scholarly monographs. Since 1969 he has taught at the Department of Railway Transport East Ukrainian National University named after Volodymyr Dahl. He was awarded "Excellence in Education of Ukraine." Lugansky student under Professor of VDEUNU won the competition ?Delcam? Student sixth grade BB "LNVK degree I specialized school - gymnasium № 42" Vladislav Nikolaenko won first place in the "youngest participant" International Students and student competition «Delcam». His supervisor - East Ukrainian National University named after Volodymyr Dahl Boris Vorontsov - was awarded a diploma for the high quality of the competition. Award ceremony for the authors of the best works of the competition held at the Residence of the British Ambassador to Ukraine. Vladislav Nikolaenko presented the project "Production of school medals" For success in training. " It was made on the basis of the project «ArtCAM for schools" under the direction of the Director of the International Research and Training Centre for CAD-systems DREAMS them. Dal, lecturer in mechanical engineering technology and engineering consulting the university, Prof. Boris Vorontsov. All papers Vladislav Nikolaenko - a project to create a medal, which is awarded students for achievements in their studies for the year. On the coin depicts a book laying in her pen and ink, standing next to her, as well as medals indicates the awards name and number of the school. Thumbnail models produced using programs «Adobe Photoshop» and «ArtCAM». Recall that the project «ArtCAM for schools" combines modern computer technology, arts, production of souvenir, jewelry, decorative items. Software and guidance provides free one of the leading developers of software design, industrial and medical supplies - the company Delcam (UK). The project is supported by the British Embassy with the possibility of an internship at the company Delcam in Birmingham.